Manchester United are set to go head-to-head against cross-town rivals Manchester City in a bid to land Real Madrid star Toni Kroos, according to latest reports in Spain. 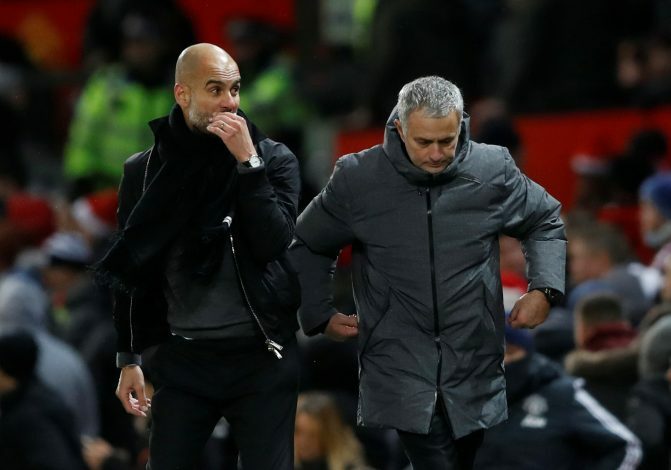 The two Mancunian juggernauts have locked the German international as one of their prime targets for the upcoming summer transfer window. Kroos has been heavily linked with United over the past couple of months, and with the Red Devils’ veteran midfielder, Michael Carrick, set to retire at the end of the season, a potential transfer could see the £100 million-rated star make a move to Old Trafford. As per the report by Spanish outlet Don Balon, the former Bayern Munich man could leave the Bernabeu this summer. Along with the German, Gareth Bale and Luka Modric are reported to be the prime candidates to be axed ahead of next campaign, as Real Madrid boss Zinedine Zidane prepares to go through with a complete revamp of his own squad. The report further claims that Manchester City are also eyeing a move for the 28-year-old midfielder. However, in a separate report by Daily Mirror, it’s been claimed that the Red Devils appear to be the favourites to secure Kroos’ signature, as they prepare to launch a massive £100 million bid for his services. Furthermore, the highly-rated midfielder is also reportedly looking forward to accepting an offer from Old Trafford, as Jose Mourinho appears to cash-in on the unsettled Paul Pogba. The Special One has grown frustrated with the Frenchman’s defensive slips, and thus, has turned his attention to the Germany international in order to ‘run United’s midfield’ inspite of his colossal price tag.